We carry a full line of tennis racquets from every major brand for every level of player at every price point. If we don’t carry it, we will order for you and beat the competitor’s price. 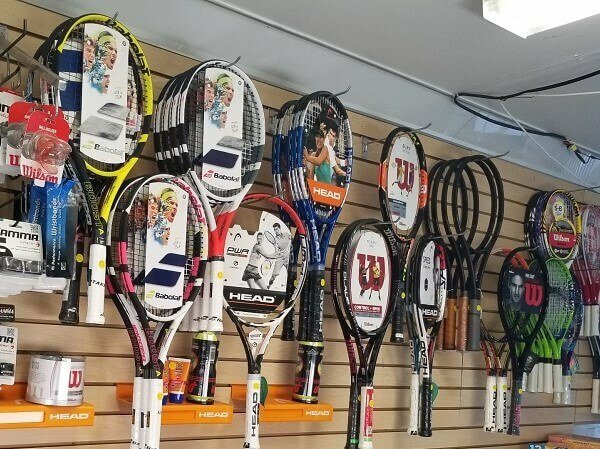 We carry a full line of tennis racquets from every major brand for every level of player at every price point. If we don’t carry it, we will order for you and beat the competitor’s price. Demos are available to try out for every racquet we carry. We also carry a full line of accessories including balls, replacement grips, over grips, sweatbands, tennis socks, hats & visors. We offer expert stringing services with 24-hour turnaround available and great prices. We have over 30 types of string in stock including top selling monofilaments, multifilament syn guts, textured spin strings, polys and even natural gut. We also do customized weighting and grip re-sizing. Located at 3650 N Recreation Dr at the Northeast corner of the blue & green tennis courts at Waveland Park. We are located adjacent to 20 new tennis courts right by beautiful Lake Michigan. Come by and rent racquets for an afternoon game or rent our ball machine or tennis wall to work on your strokes. Located at 1529 W Irving Park Rd at the southeast corner of Ashland and Irving Park Rd. 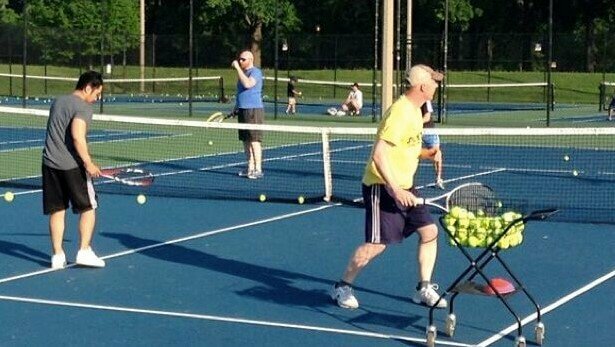 You’ll enjoy a great workout while getting some sun at our many outdoor courts in Chicago. You’ll also get a chance to meet new tennis players from the Chicago area. Our staff of tennis professionals include some of the best local plasyers and coaches who undergo thorough training in the TOTL system to provide consistent classes in a FUN, ACTIVE, and CREATIVE environment.